Our Prusik Cord strikes the perfect balance between firm and supple. We engineered our Prusik Cord so that the rope has enough give to grip the climbing rope but is not so mushy that the knot locks up. This results in a smooth hitch cord that is perfect for prusiks and hitches. TEUFELBERGER’s Prusik Cord strikes the perfect balance between firm and supple. It has been specifically engineered to grab onto your rope and resist locking up the knot when loaded. The result is a smooth, controlled movement of the prusik hitch over the rope while in use and an easy separation when done. The 100% nylon construction gives these ropes enough elongation to resists shock loading anchors when encountering a fall. You can rest assured that we’ll catch you! This 100% nylon construction is designed to grip all types of kernmantle ropes but especially our KM III and MAXIM ropes. You will not find a better prusik cord on the market. Prusik Cord is available in assorted colors from 5 to 9 mm diameters in various lengths. Some cords even come in pre-sewn loops. 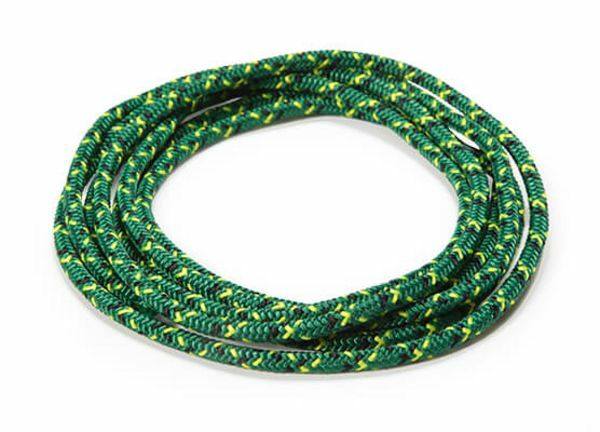 Prusik Cords are not certified as a main line for rappelling, belaying or as a climbing rope.